If you find yourself suffering from eye dryness, sensitivity to light, or discomfort in windy or dry conditions, you may be suffering from a condition called Evaporative Dry Eye Disease. It can cause discomfort and really make it difficult to enjoy everyday tasks. There are several different types of Dry Eye Disease. With Evaporative Dry Eye Disease, the eyes do not produce the right kind of tears. In healthy eyes, tears are made up of three layers: an aqueous (water) layer, a mucin (mucus) layer, and a lipid (oil) layer. 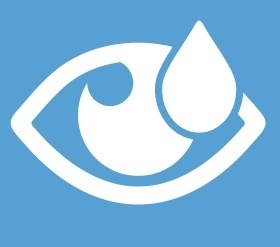 With Evaporative Dry Eye Disease, the mixture of tears is deficient in the lipid layer. LipiFlow® is a thermal pulsation system that helps treat the Meibomian glands, the part of the eye that makes the lipid layer of your tears. LipiFlow® massages the Meibomian glands and encourages them to produce the right amount of oil. The treatment only takes about 12 minutes and can be done in our office. Many people compare LipiFlow® to going to the spa. To find out more about LipiFlow®, check out our Videos page or the LipiFlow® page. If you are suffering from dry, red, irritated eyes, talk to your optometrist about what treatment options would work best for you.